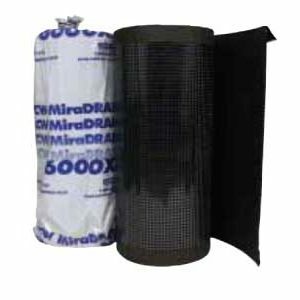 CCW MiraDRAIN 6200 is a high-strength drainage composite made up of a durable, nonwoven filter fabric that is bonded to the individual dimples of a molded polypropylene core to minimize fabric intrusion into flow channels due to backfill pressure. 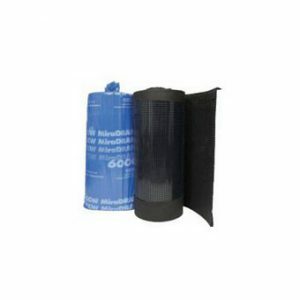 CCW MiraDRAIN 6200 filter fabric prevents the passage of soil particles into the core while allowing water to pass freely. 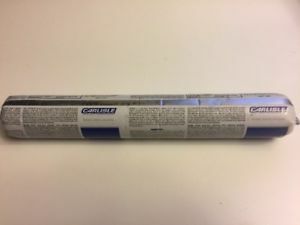 This product features a polymeric sheet adhered to the back of the core to prevent it from die-cutting the waterproofing membrane. Designed for use in high-flow, high-compressive strength, vertical drainage applications where single-sided subsurface drainage is needed, MiraDRAIN 6200 can also be used as a protection course over CCW waterproofing membranes when added protection is desired. 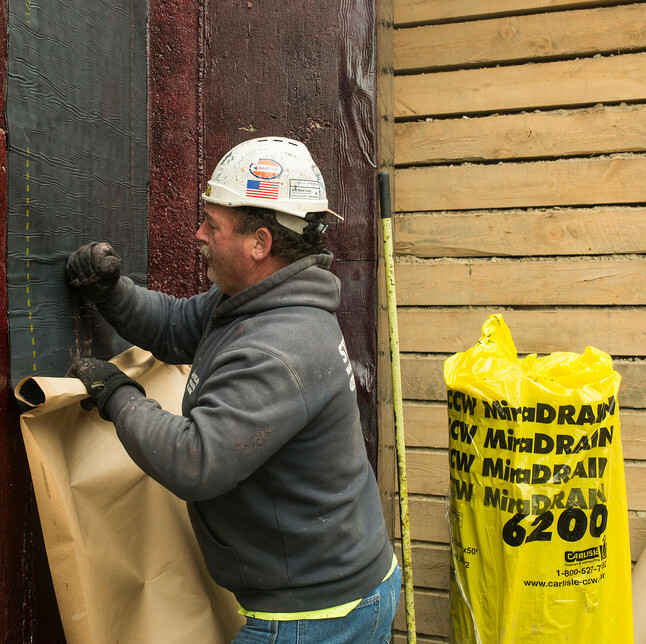 The flat side of MiraDRAIN 6200 f ts snugly against wall surfaces, making this product ideal for foundation walls, retaining walls, bridge abutments, and similar structures.